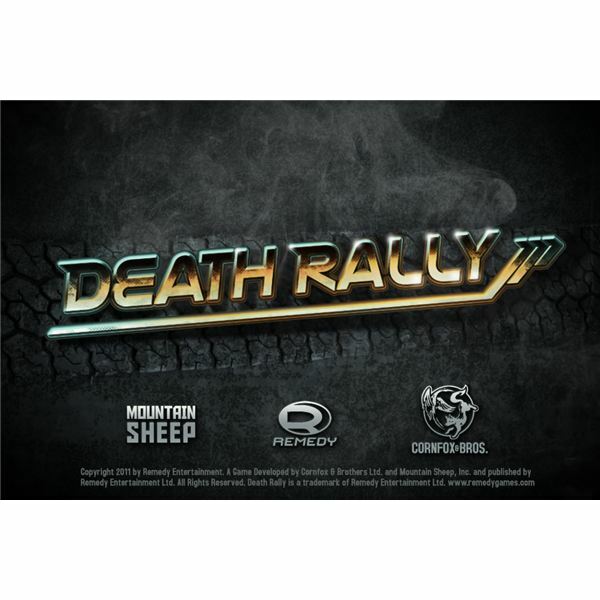 If Real Racing and other iPhone racing games left you wanting more car racing action, or to be specific, if you wished that the games gave you the chance to blow away other cars – you'll be satisfied with this new game called – Death Rally. It's the iPhone version of a once popular PC game and for its latest version – the game developer brings all the goodness and excitement of the original game – this time optimized for the small screen real estate of the iPhone. The game is a straight-out arcade combat racer. 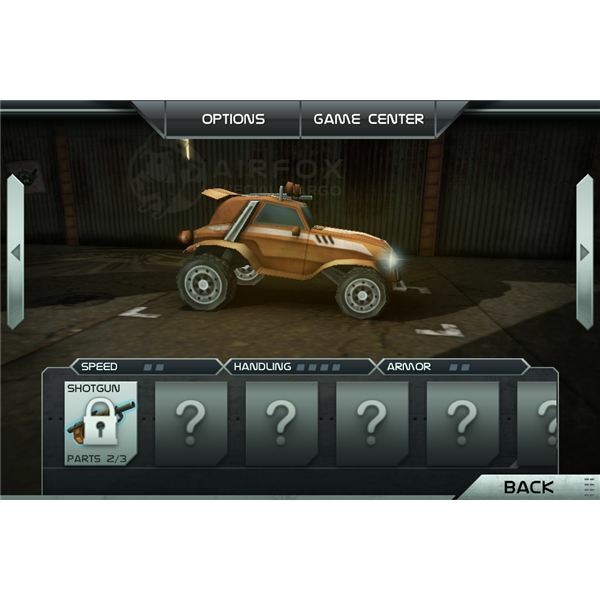 The first time you fire up the game, you'll have access to your first car – the Vagabond, which unlike most games is powerful enough to give you a fair fight against your first few rivals in the race. After admiring your new car, you can go straight into the game and play your first race. You'll have several options available at the start of the game and it's up to you which one to take up first. 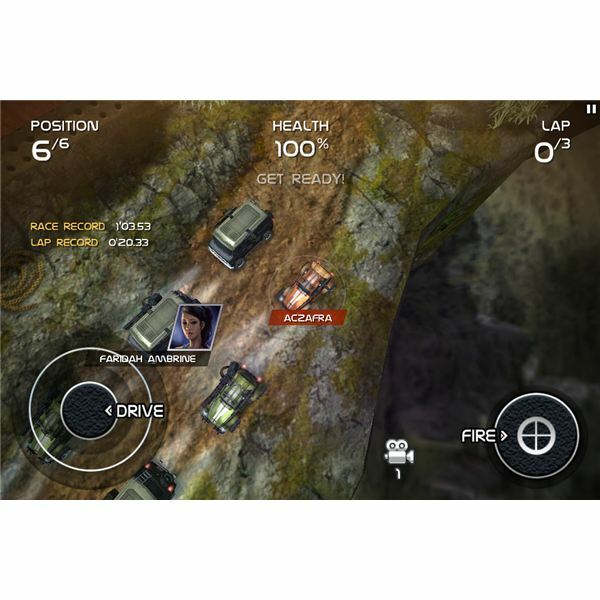 Initial races are categorized as easy and pretty soon, you'll have more difficult races to conquer. During the race, you're free to choose whatever means you want to use to get all the loot that the race offers. This could be more cash for destroying a level boss, destroying all the racers, or finishing the race in first place. Every time you finish a race, you'll be awarded with reward points. You can use these points to upgrade your current car's specs – speed, handling, health, and weapons. You can choose to upgrade these aspects manually or let the app do it for you automatically. What's so good about this game is that you can really see and feel the difference of the upgrades you've made the next time you use your car. Death Rally is definitely a feature-rich game. It has enough racing tracks, cars, weapons and opponents to keep you busy for some time. There are even special guest appearances of famous game characters such as Duke Nukem, Barry White and more. This adds to the game's novelty and value. Of course, who wouldn't want to blast Duke Nukem to smithereens using a gatling gun? There are several types of races in the game and you can take each of them one after another or randomly. There are single round races wherein you are pitted against a star racer, the missile challenge, and more. I mean if racing cars is what you're looking for, this game will give you more than you could ask for. Another major strength of the game is graphics. It looks awesome on the bigger screen of my iPad 2 but looks even better, crisper and more detailed on my iPhone 4, thanks to the Retina Display. Finally, another nice feature of the game, which I'm pretty sure will get mixed reactions, is game control. There are only two buttons that you can use – a directional button, which also serves as the gas pedal, and the firing button. This dual-button approach makes the game even more fun to play as you will not be bogged down by a complicated control system. Image credit: Screenshots provided by the author.